A great question. Especially when posed by the Operations V.P. 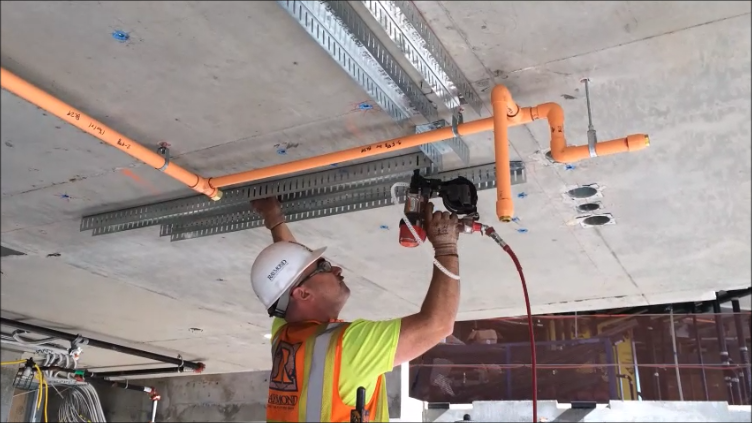 for one of the country’s largest design-build commercial contractors. 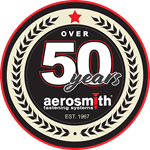 On one of their jobs, he saw the Aerosmith® System Fastening overhead track (steel to concrete) and at record speeds. Incredulous, he grabbed the 4-pound tool to try it himself. 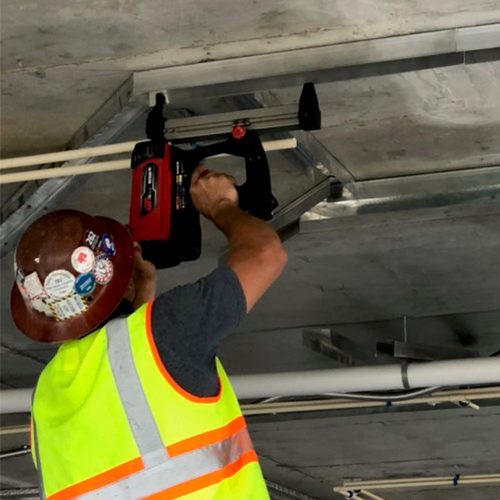 Not only did the tool/fastener system prove fast, it also made easy work going through 18 gauge steel and into the hardest concrete slab (estimated at 6M pounds per square foot density)! The foreman immediately contacted the purchasing department!